It’s often hard to tell how my posts are recieved. Are they recieved well? Are they understood the way I intended? My last post is a good example. It received very little response, and has made me wonder… So I read it again, and have thought my meaning might not have been understood. So let me clarify. I am transgender. In the last post I was writing mostly to other transgender individuals. People who look in the mirror, as I do, and see the wrong body. And now, reading over the poem and seeing the images again, I realize some people may have gotten the wrong impression. Some may feel that I am suggesting we accept ourselves as beautiful regardless of our appearance. Which isn’t true. Well, not entirely true. For transgendered people it is not that simple. It isn’t beauty we are after – it’s the right gendered body. The poem and images, therefore, were not meant to suggest we shouldn’t try changing the gender of our bodies. It was to encourage us to look at ourselves – to have the guts to look at ourselves – throughout the whole process from man to woman or woman to man, and to find the beauty in ourselves at each step of the way. This is important because getting to our genuine self is a long process. It takes years. And in the meantime we are faced daily with an image in the mirror that is difficult to love, to find beautiful, to accept as what we are at the present moment. For us it takes buckets of guts to look at our in-between-selves and not loose hope or patience; to not think, “I will never fit in this body,” “No one will ever see the woman (or man) who is in me.” We need guts to not only look at ourselves, but to somehow also find glimpses of our genuine selves throughout the process. To love ourselves now. To see beauty in our changes, to be patient with ourselves as we continue on the road to revelation. 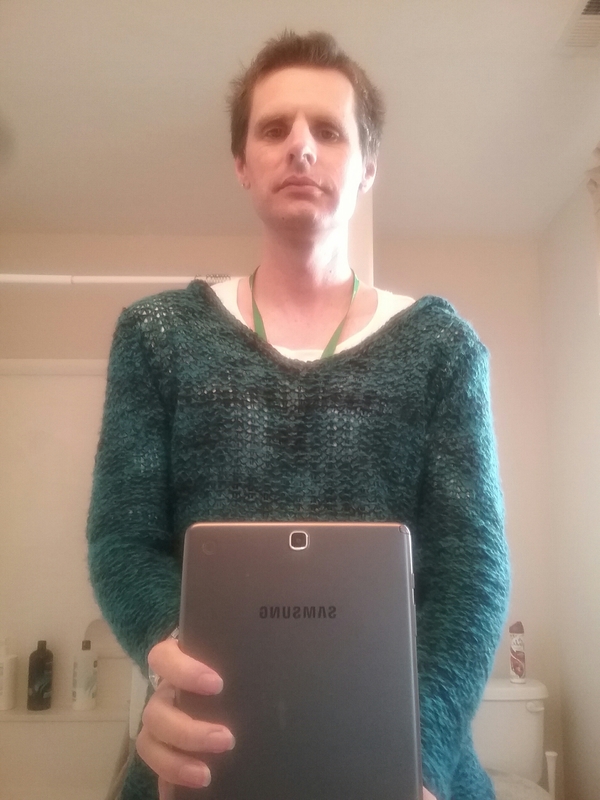 This entry was tagged beauty, LGBT, self-acceptance, transgender, transitioning. Bookmark the permalink. You are on the beginning of a long and beautiful journey. It seems like a long time, and it certainly is full of challenges. But it is our journeys that define us, not the destinations. Take the time you need, and you will be where you need to be when you need it, disbelieving how fast the time has flown, and how much wisdom you have gained along the way. This is probably not your first transition, nor will it probably be your last, but it is one of the most important.